Burgers are my favorite and it was really my taste haven. Thanks for sharing your this to all of us. 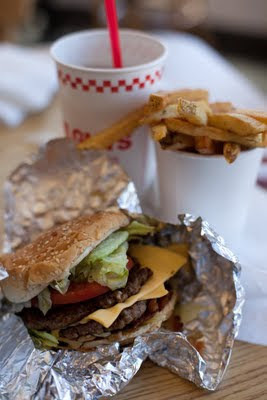 5 guys and in-n-out aren't comparable imo.... in-n-out is fast food, and 5 guys is fast casual... fast casual is supposed to be of higher quality than fast food... that being said, in-n-out holds its own very well with 5 guys. 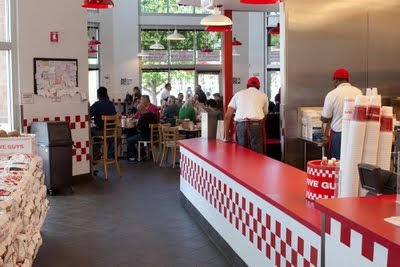 I’m only a few miles away from the first 5 Guys in Virginia. We definitely love our 5 Guys. Do the California 5 Guys have Old Bay seasoning for the fries? That is how we eat boardwalk fries in the EC. Whatever happened to Hamburger Hamlet? Used to love that chain when I lived in SoCal and there were a few in the DC area years ago.